Bahrain’s human rights record regressed rapidly in 2018 according to a UK-based Bahraini NGO. The year saw the intensification of repressive tactics used against peaceful dissidents, and at an alarming scale, including the doubling of death sentences and citizenship revocations compared with the previous year. There were further negative developments in several significant cases. Leading opposition figure Sheikh Ali Salman was sentenced to life imprisonment, and celebrated human rights defender Nabeel Rajab had a ten-year prison sentence upheld. The death knell of Bahrain’s civil society was marked by the parliamentary elections in November, which prevented the participation any political opposition. Such deteriorating conditions once again call into question the international actors turning a blind eye to or actively supporting the regime’s repression, not least the UK who opened a new naval base there in April. 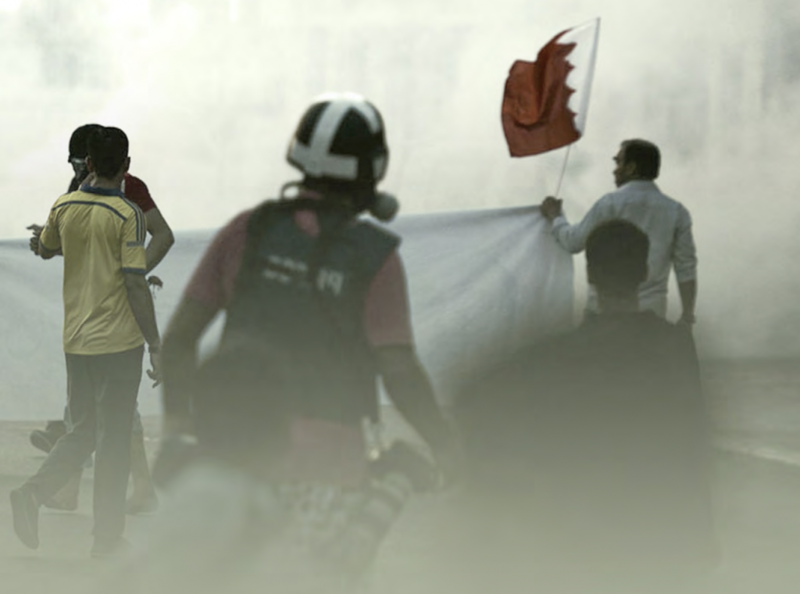 On 6 February 2019, Salam for Democracy and Human Rights (Salam DHR) released its 2018 Annual Report on Bahrain, titled, Bahrain: A Deepening Spiral of Repression. The 54-page report outlines the wide range of repressive tactics utilised by the Bahraini authorities against peaceful dissidents on an almost daily basis, including arbitrary arrests, unfair trials and imprisonments, citizenship revocations, death sentences, torture and ill-treatment in prisons and reprisals beyond Bahrain’s borders. In terms of the scale, many of these violations witnessed a sharp spike in 2018. 298 Bahrainis were stripped of their nationality throughout the year, which is almost double the number throughout 2017, when 156 citizenships were revoked, and marks the largest number in one year since the practise became heavily used in 2012. “Citizenship revocation is a brutal form of punishment. Losing your nationality means you don’t have access to education, healthcare, marriage, and more, the consequences of which not only affect you physically but emotionally. Revoking nationality should never be a punishment, in any case. Yet in Bahain, the practise is used to target primarily peaceful dissidents, making it even worse”. Furthermore, 26 death sentences were issued or upheld in 2018, over double the number in 2017, from when the Bahraini authorities resumed the practise of executions. The events leading up to these executions and death sentences represent a catalogue of human rights abuses, including highly politicised charges, “confessions” extracted under severe torture or duress and unfair trials, including the use of military trials against civilians. Other violations were marked by their wider significance, such as the prominent political leader, Sheikh Ali Salman, who was sentenced to life in prison in November, when his previous acquittal was overturned. He was convicted of ‘exchanging intelligence information’ with Qatar, amid the increasing diplomatic tension with the country, in a case described by rights groups as a travesty of justice. Another significant case was the case of Bahrain’s leading human rights defender Nabeel Rajab. On 31 December, the Cassation Court upheld a five-year sentence against him for his tweets criticising the practice in Bahrain and the Saudi-led Yemen war. This verdict is final and cannot be appealed, calling for a new approach from the international community, including Bahrain’s Western allies, notably the US and the UK. “Until now, Bahrain’s allies such as the UK have expressed concern but pointed to Nabeel’s right to appeal his case”, said Josh Cooper, Salam DHR’s Advocacy Officer. “Now that all legal avenues have been exhausted, by their own logic it is incumbent upon the British government to take further action. So far they have opted for silence”. The parliamentary elections which took place in November also shone a light on the increasingly restricted space for civil society in Bahrain and the exclusion of the political opposition. Following the dissolvement of Bahrain’s two main political parties over the past two years, an amendment ratified in June banned anyone belonging to these parties from running for political office, as well as individuals who had been convicted to a jail sentence of over six months. These conditions restricted almost all opposition figures from running. Furthermore, the run up to the election witnessed various forms of intimidation, including summons, arrests and hate speech, and the election itself was marked by severe irregularities, including an unfair electoral infrastructure. “The measures and legislation imposed over the past several years, including the banning of the major opposition parties al-Wefaq in June 2016 and al-Waad a year later, the arbitrary arrest and imprisonment of opposition leaders such as Al-Wefaq Secretary General Sheikh Ali Salman, and the June 2018 amendment effectively preventing opposition figures from running for political office, have constitute a form of “political exclusion”. The political space in the country has been restricted to such an extent that there is no longer are room for political participation”. With Bahrain’s once thriving civil society now almost entirely behind bars, forced into exile, or excluded from participation in public life, the Bahraini regime seems hell-bent on a path of destruction. Quite what it will take for a Western response remains to be seen. This entry was posted in Press, Reports. Bookmark the permalink.